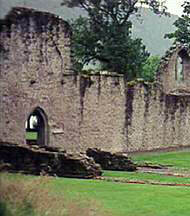 Some scenes in the title song of the movie were filmed at Inchmahome Priory. The Priory is on an island in the Lake of Menteith. There is a ferry to the island from the nearby Lake of Menteith Hotel.